Until today I thought I had seen it all but then I found “Chef Tunes” by Maverick. Believe it or not, it’s a Bluetooth kitchen speaker that is also a temperature probe . . . . Crazy, huh?! 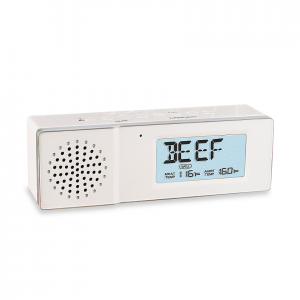 This little device features a large LCD clock that converts to a roasting thermometer. 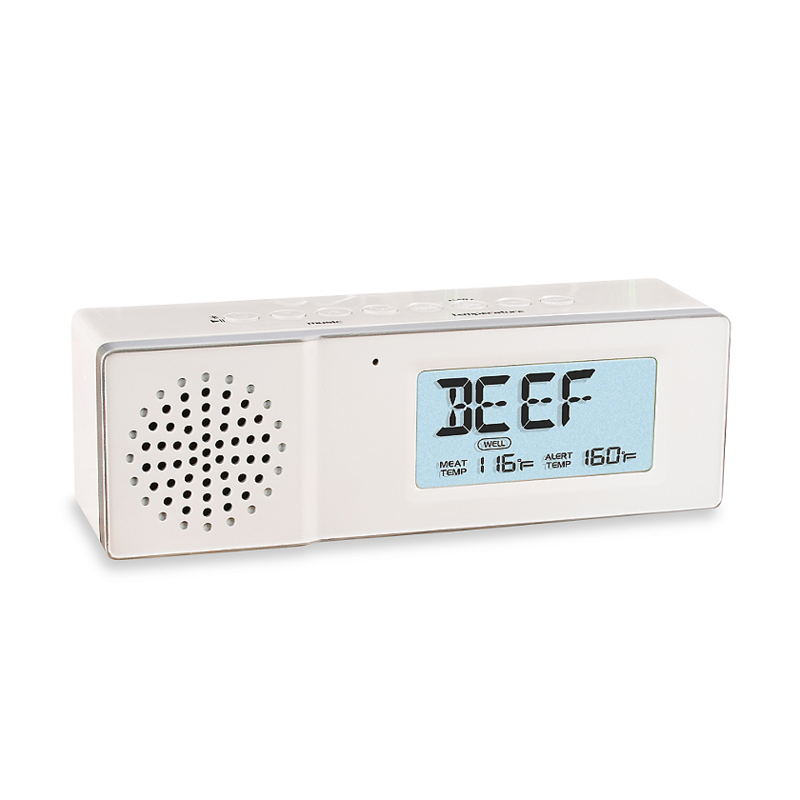 Allows for pre-set temperatures for all types of meat: Rare, Medium Rare, Medium and Well Done. The best thing about this little box?? 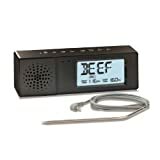 There is a voice alert for temperature setting or to alert you when your food is done. This hi-tech little gadget works with iPhone, iPad, Android and any Bluetooth-equipped devices so that it will sync up and play your favorite music. It has a rechargeable battery that allow you up to three hours use (so put those dancing shoes on!) This is one of those devices that you never knew you wanted until you’ve had one. And it would make a truly wonderful Christmas gift!